The race is on, but some taxpayers wonder if Boston's infrastructure is ready for Amazon to call Suffolk Downs home. Suffolk Downs tops the list of proposed sites for Amazon's second headquarters. Boston's proposal to Amazon features the city's job growth, diversity. Amazon expects to invest $5B and create more than 50,000 jobs in the next 15 years with its second headquarters. The bids are in, and now it's up to Amazon to decide if its second headquarters is coming to Boston. Boston officials released details Friday of their proposal to sell the city as the perfect place for Amazon's second headquarters. 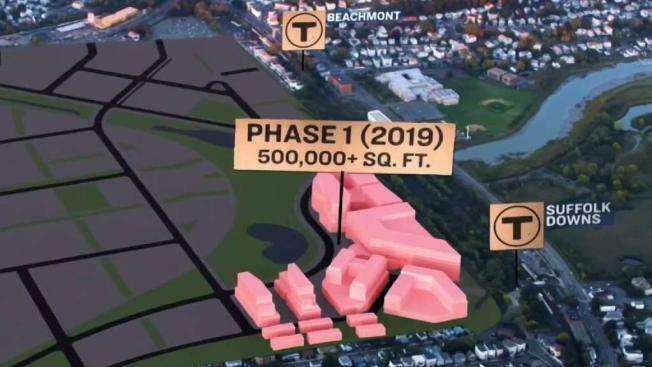 As expected, Suffolk Downs topped the city's proposed sites. The city's 218-page pitch touts the former horse-racing track as the perfect location because of its proximity to the airport, downtown, and the waterfront. According to Amazon, the company expects to invest over $5 billion and add as many as 50,000 jobs over the next 15 years. "Proud to highlight our talent, diversity & heart," Boston Mayor Marty Walsh said Friday on Twitter. "A great place to do business & an even better place to call home." 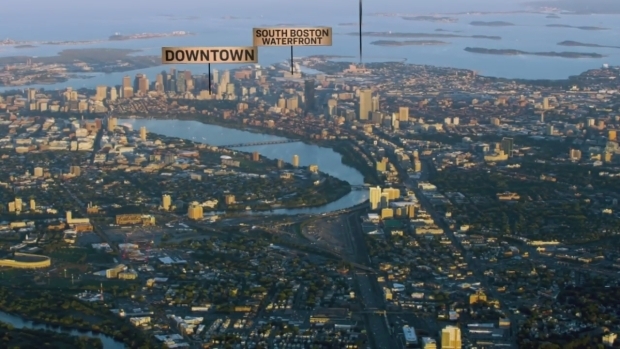 Along with its written proposal, Boston included two promotional videos highlighting why Amazon should say yes to the city. The proposal mentions Boston's job growth, saying it has added more than 60,000 jobs since 2014, with the unemployment rate dropping each year. It also sells Boston as a global community, with 29 percent of the population being foreign-born, representing more than 100 countries. Unlike some communities, Boston's proposal makes no mention of tax breaks. "I think the key at this point in time is to get into round two, at which point I fully expect that there will be incentives built into the package," said Jim Rooney, president of the Greater Boston Chamber of Commerce. Three other regions of the city are also offered as suitable locations. State officials also released a copy of their formal pitch Friday, touting the state's educated workforce and innovation-based economy. In Boston's bid for Amazon's second headquarters, the city created two promotional videos highlighting what the city offers. The 182-page submission made public by Gov. Charlie Baker's administration lists more than two dozen possible sites in Boston and elsewhere around the state but gives no preference. The proposal notes the state is home to 125 colleges and universities and is well above the national average in the percentage of workers in math and computer-science related professions. Also included: A statement from Facebook chairman Mark Zuckerberg saying that if he starting was the company over again, he would have stayed in Boston. Several other Massachusetts communities - including Lawrence, Lowell, New Bedford, Leominster and Worcester - submitted their own applications. Maine, New Hampshire and Rhode Island also made pitches, promisign Amazon a way to tap into Boston's high-tech aura while avoiding its congestion and high prices. Rhode Island Gov. Gina Raimondo said the state is not releasing its pitch for competitive reasons.